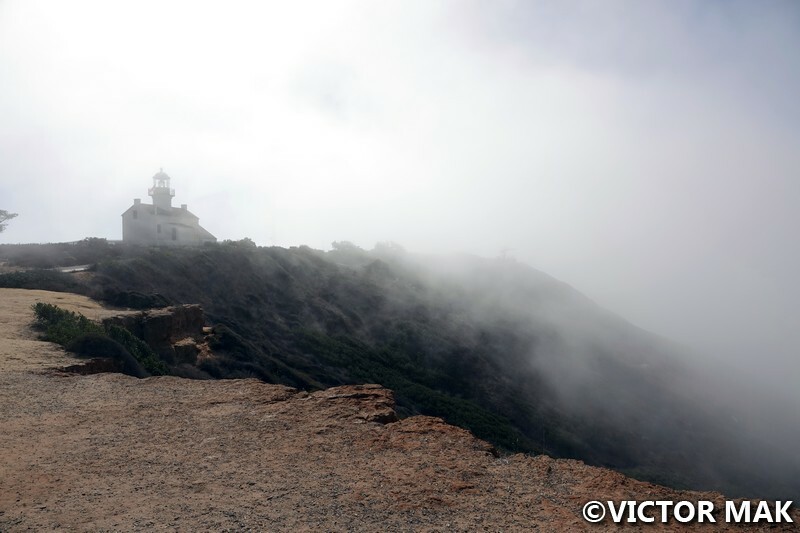 Cabrillo National Monument sits at the tip of Point Loma Peninsula in San Diego, California. 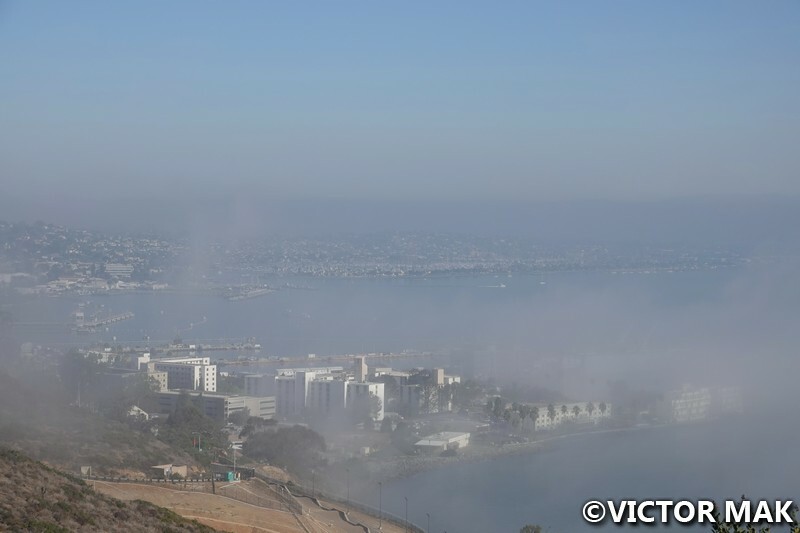 The views of San Diego Harbor, skyline, Naval Air Station North Island, and Coronado are amazing. In 1932 it became as California Historical Landmark and on October 15, 1966 it was placed on the National Register of Historic Places. 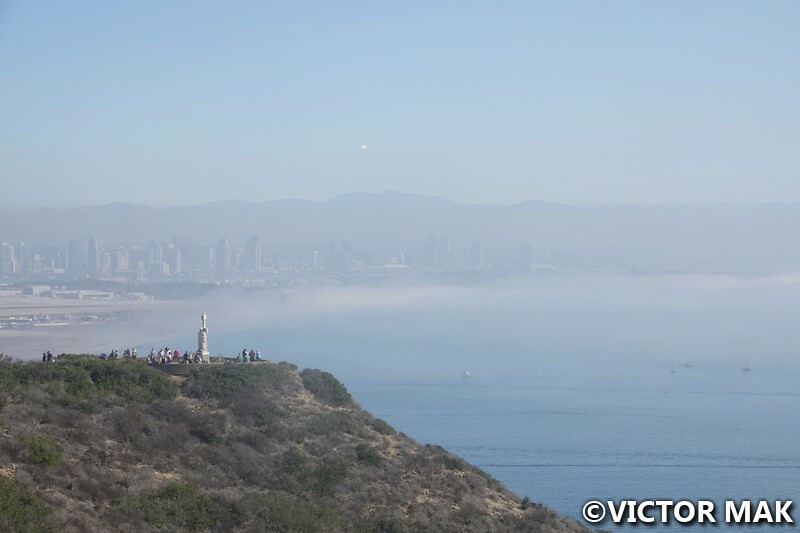 In 1542 Juan Rodriguez Cabrillo was the first European to set foot on the west coast of the United States. To read more about Cabrillo, click here. I’m not that into Cali history and I didn’t take notes when I was there. I hate to admit but when I’m not into something no matter how many times I try to read about it, my mind drifts so I’m attaching links so I don’t mess it up. I realized we didn’t take a lot of pictures while looking through them. We walked around, checked out the information center which spoke about Cali history. The lighthouse was cute but I don’t remember what else was in it. The fog made me think of the movie, The Fog, the one from the 1980s. That’s one of my favorites. 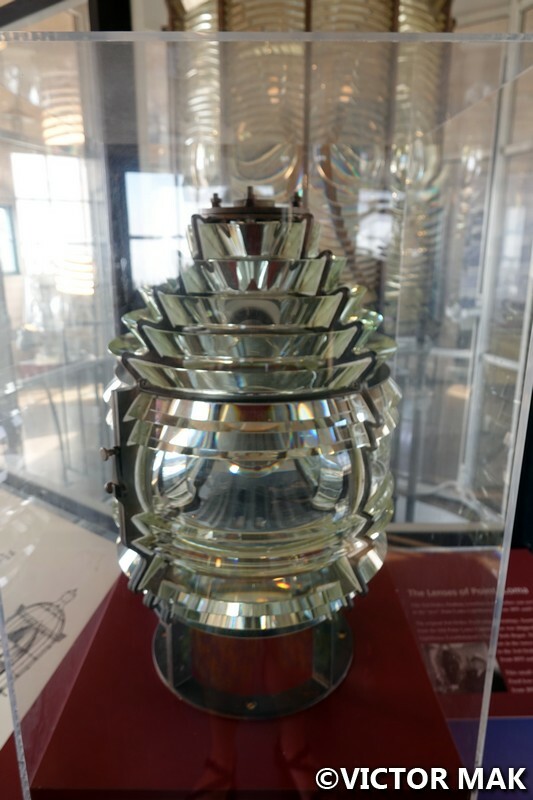 Click here to read more about the lighthouse. We didn’t make it to the tide pools because we had to pick up my cousin’s kid from school and the tides were still too high. We ate lunch at Bronx pizza because we wanted to know if it really tasted like NY pizza and IT DID. The owners are from the Bronx and have the NY accent and all. This is my cousin’s go to pizza place. All my relatives that left NYC crave pizza, its a staple of our diet. Her daughter was like, “You could get that back home…’ We laughed, we just had to know if it was truly like home and it really did taste right. So if you are ever in San Diego and want a NY slice, go to Bronx Pizza. 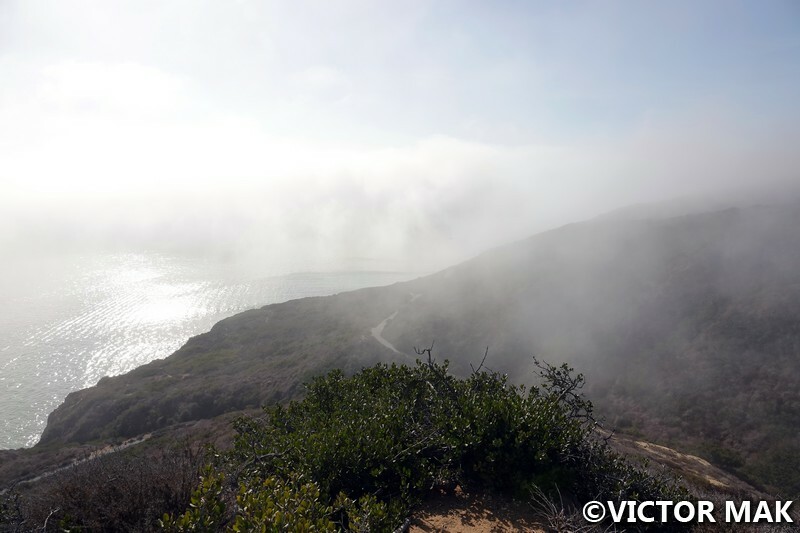 Posted on March 27, 2019 by jebusandandrea	This entry was posted in North America, USA and tagged CA, Cabrillo National Monument, California, California Historical Sights, Explore, San Diego, Travel, Travel Photography. Bookmark the permalink. When I went there, it was blazing bright. I like the softness the fog lends to your photos. Thanks! We enjoyed it too. My cousin really wanted it to be sunny. I love it when the fog is so thick I can barely see out my window. Probably very bad for driving. 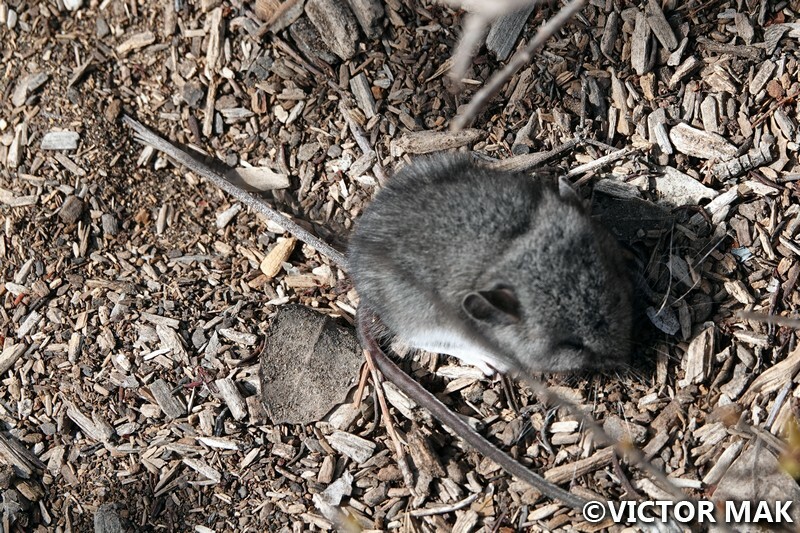 I visited the point in April three years ago, when it was sunny, clear and WINDY. I enjoyed the view of the city and the bay where a vintage sailing ship was taking a short cruise. The lighthouse is like a little seaside cottage inside, but they wouldn’t let us go upstairs because they were doing restoration of the “torch.” They’ve also been having problems with large numbers of baby sea lions and seals being washed up on the beach. Apparently there isn’t enough food for them, so they end up abandoned when the mother swims farther out to feed herself, or they themselves can’t find any fish to eat. Thanks! The fog added that nice special something. We like fog. 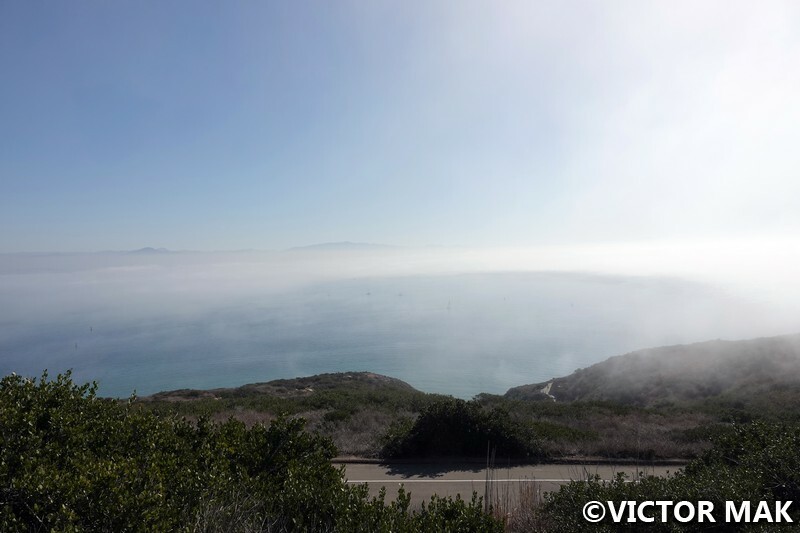 Nothing quite like a nice layer of mist rolling across a scenic landscape ~ you capture this exceptionally well as well as giving an introduction to the Cabrillo National Monument. Great captures and emotion with this post.